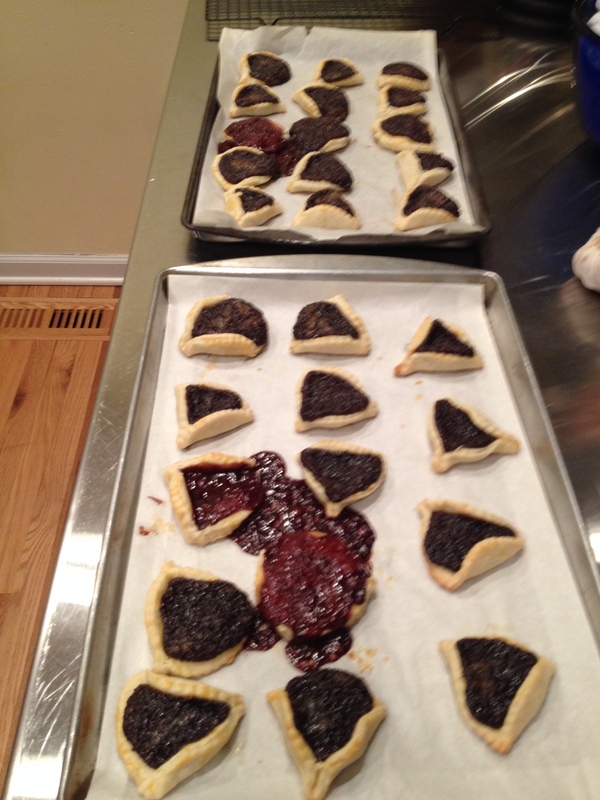 I am going to be 45 years old this year, and I’ve been attempting to make perfect hamantaschen irregularly since I was a teenager and discovered that you could buy cans of poppy seed filling in supermarkets. Prior to that, I’d assumed it was a big secret thing that only Jewish bakeries could do. Well, I’m a middle-aged kitchen hack now, and I’m still convinced that there’s something about hamantaschen that only Jewish bakeries know how to do. There’ve always been issues. First off, I’ve never found the right cooky recipe. Most hamantaschen recipes call for a dough I find completely unacceptable because they require orange juice, to which I reply, “Over my dead body.” But then, there are other issues. Sometimes the dough results in just some hard, not too sweet thing that is, frankly, strong enough to hold the filling in place, but otherwise has nothing to recommend it. This, minus the orange zest, natch, is the thing I think I used last year, and it was wholly successful. I believe this because I remember that I gave hamantaschen to people, even people I didn’t know very well; I even mailed cookies to people. I wouldn’t do that if I hadn’t thought they’d come out beautifully. Right? Right? Well, let me tell you. 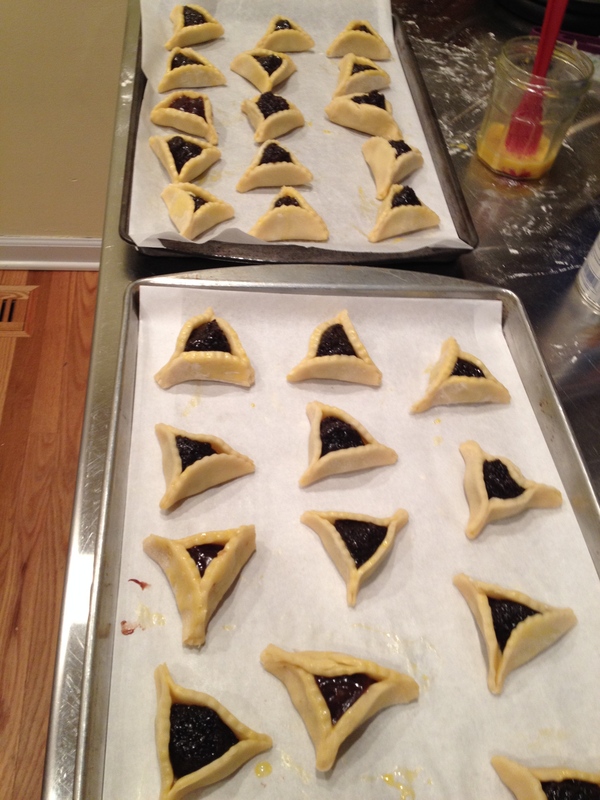 These are some uglyass hamantaschen. They may not be as pretty as one made by someone who’s done it literally thousands of time but how do they taste? Last night I realized that there were a few things I might have done wrong with this batch, and I fully intend to work on it. Why I didn’t refer to this is beyond me.